Open to all and welcome you summer and winter in a warm atmosphere which will delight the followers of cocooning. Leen Paô also moves in the Valley of Belleville and installs with simplicity a cocoon of well-being at your home. Pauline is awarded a diploma beautician and a practitioner in massages well-being. ” Native of Pas-de-Calais, I fell in love with the Valley of Belleville in 2015, I decided to settle down there and to create “Leen Paô”. My job is a real passion, your well-being and your satisfaction my priority. 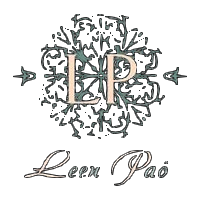 Leen Pao also moves in the Valley of Belleville and installs with simplicity a cocoon of well-being at your home. You wish to please a close friend? Offer a gift card with the care or the amount of your choice. Pauline has more than one string to her bow. Besides making wonderful massages, she makes us travel through the various proposed massages. I strongly recommend to pass between her hands whether it is for a care of body, the face, or even a beautiful pose of varnish. All the best to you and to the next one in Belleville!